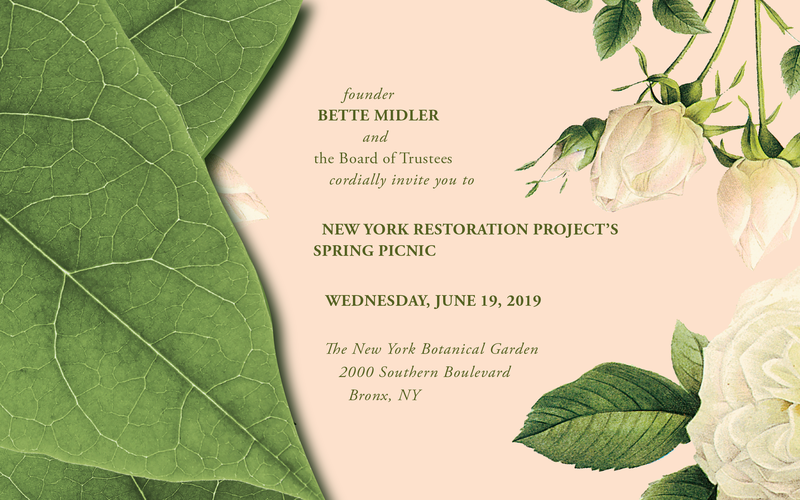 Join us on Wednesday, June 19, 2019 at The New York Botanical Garden (2900 Southern Blvd, Bronx, NY 10458) for NYRP’s annual Spring Picnic! Celebrating Amy Goldman Fowler (with Stephen Scanniello and Brad Jalbert) for their dedication to preserving global plant diversity, we’ll begin with cocktails in the Peggy Rockefeller Rose Garden (which will be in peak bloom!) followed by dinner and a program in the gorgeous Garden Terrace Room. This is a picnic you don’t want to miss – purchase your tickets now! For more information, please contact Michael Collins at mcollins@nyrp.org or by calling 212.333.2552.